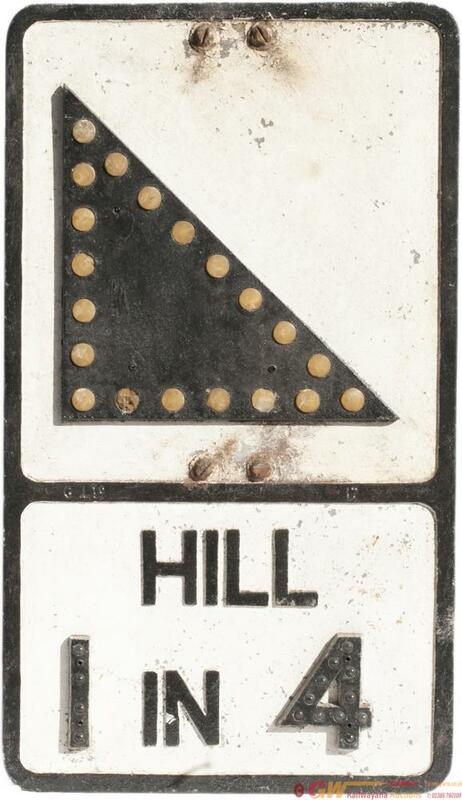 Motoring road sign HILL 1 IN 4. Pressed aluminium with cast numbers and hill. In original condition complete with all reflectors (one chipped) and original mounting brackets. Makers name G. Ltd. Measures 21in x 12in.